If you have been thinking about buying Southern Utah real estate, there is no better time to do it than now. If you have been cleaning up credit, saving your money, budgeting for a mortgage then you are more than ready to settle into your very own piece of Southern Utah real estate. Not only do we help people buy homes and property in St. George and Hurricane but all over Southern Utah. We know this area and can help find the right home for you and your situation. → Make sure you get pre-approved with lender first. You could be go through your bank, a credit union or a mortgage broker. And even if your credit is not as perfect as you wish just yet you may still be able to buy an owner financed property. There are so many homes on the market now that sellers are interested in just about any avenue to try and sell. 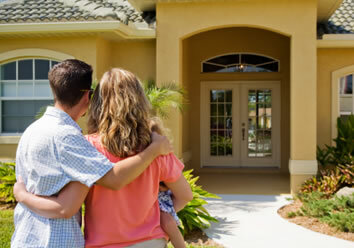 As a buyer, you are in a remarkable position for negotiating excellent terms and contingencies. Once approved though a lender you will be issued a pre-approval letter stating your finances have been reviewed and you can financially afford a home up to a certain amount. If you are going to offer less than full purchase price on a home you may request your lender to not mention how much you can afford on the letter which will be presented to the seller at the time of offer. You may be able to afford a $300,000 home but are offering $200K on a home priced $225K. If the seller knew you could comfortably afford up to $300K they may not be as likely to accept your offer or simply counteroffer for more. Remember to hire a buyers agent. You pay NOTHING for our services as buyers agent and we are dedicated to keeping all your personal and confidential financial and personal information private . When you work with a buyers agent and not the listing agent selling the home you want, you can be sure your best interest are kept and the agent is not just working for the seller. Using a Buyer's Agent Will Save You Money! We want to be sure your entire process is smooth and easy. If you have any questions along the way or just not too sure where to start, give us a call! Remember, if you buy a home in 2009 you get $8000 back on your tax return next year! With the credit, low rates, and huge inventory at the lowest market prices ever why wait any longer! Let our team help find your St. George real estate or Hurricane UT real estate today! A House or Home in St. George Utah? - What's the difference?